Jason Lollar is the author of the DIY pickup maker's bible "Basic Pickup Winding and Complete Guide to Making Your Own Pickup Winder". This book helped kickstart the custom pickup industry. It has been out of print for a number of years, assuming a mythical status. Secondhand copies have been selling for close to $300. These are two examples of pickup winders made out of LEGO. 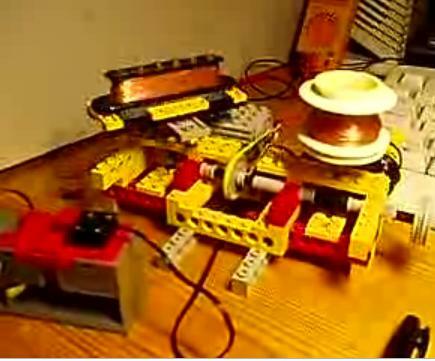 They use the motorised Mindstorms , NXT type components to spin the pickup bobbin. I haven't seen any LEGO winders with an automatic travese mechanism yet, but it won't be long before someone builds one. 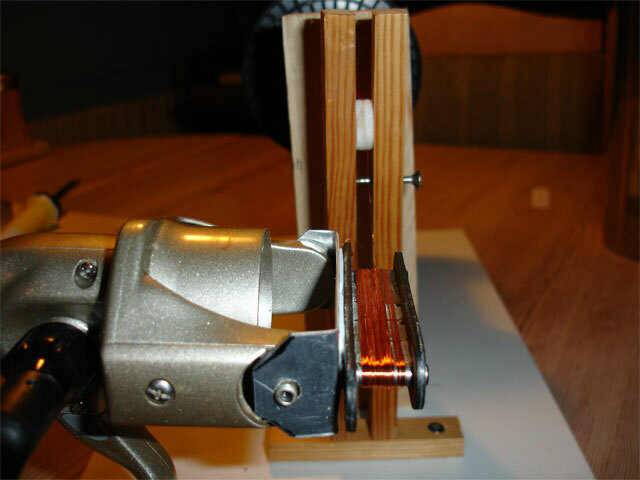 The first is a pickup unwinder, for despooling a broken pickup, by Scorpion097 . Rish developed the lego pickup winder further, making a more conventional design with LEGO NXT components for winding pickups. This is a clever DIY pickup winder design by Niels Kaagaard. It uses a fishing reel to spin the bobbin. It is hand powered, so carbon emissions are limited to your exhaled breath as you wind it furiously. It's missing a traverse mechanism at the moment, however, you can see that the wire is not layed down evenly. I would run a belt from the reel to power a cam traversing mechanism. Ever fancied making your own guitar or bass pickup? 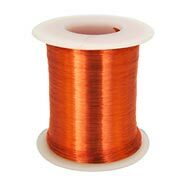 All you need is a spool of thin insulated copper wire (around 42 gauge) two popsicle sticks, some neodymium magnets (2 for each string) and some Gorilla Glue. When you have finished it you will need to dip it in melted wax. Here's the original project posted by Sam Garfield over at DIY:happy.